My Hibiscus trees have black spots on the leaves. What might this be and what is the remedy? This must be the week for hibiscus problems. See this very recent previous answer on hibiscus in Florida. 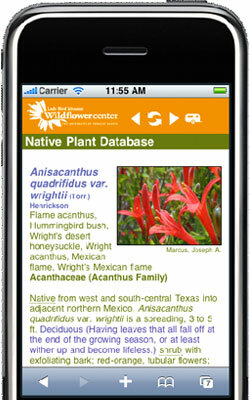 You may have a hibiscus native to North America and to Texas, or you may have one of the many non-native tropicals. We will look around and see if we can find information beyond the insects we listed in the previous question that might be causing those black spots, wherever your plant is native to. We found this article from Bachman's Florist about a tropical hibiscus frequently grown as a tree, Hibiscus rosa-sinensis, native to China, which specifically addresses the problem of black spots on hibiscus leaves as being caused by the sooty mold that is often the result of aphid infestation. Since this would probably happen whether you had a native or non-native hibiscus, refer to the previous answer referenced above and try a good hard spray of water on the plant's leaves to knock the aphids off the plant. My Mock Orange fails to flower in Redmond, WA. July 25, 2013 - My trumpet vine is dropping its buds before flowering. This happened last year as well. Do you know what is causing this and what I can do to prevent it? June 16, 2009 - Leaves turning brown.